St. Therese of Lisieux is known to many as "The Little Flower of Jesus." She was a Roman Catholic Carmelite nun, who died at the tender age of 24, was shortly thereafter canonized as a saint and recognized as a Doctor of the Church; an honor bestowed on only three women. Listen to what she says about prayer in her memoirs: "For me, prayer is a surge of the heart; it is a simple look turned toward Heaven, it is a cry of recognition and of love, embracing both trial and joy; in a word, something noble, supernatural, which enlarges my soul and unites it to God....I have not the courage to look through books for beautiful prayers.... I do as a child who has not learned to read, I just tell our Lord all that I want and He understands." 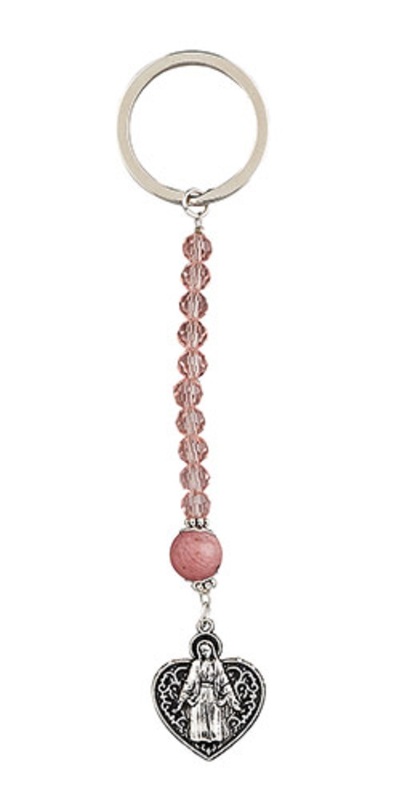 This dainty one decade rosary comes with rose scented wood beads, a St. Therese centerpiece and a traditionally styled crucifix. 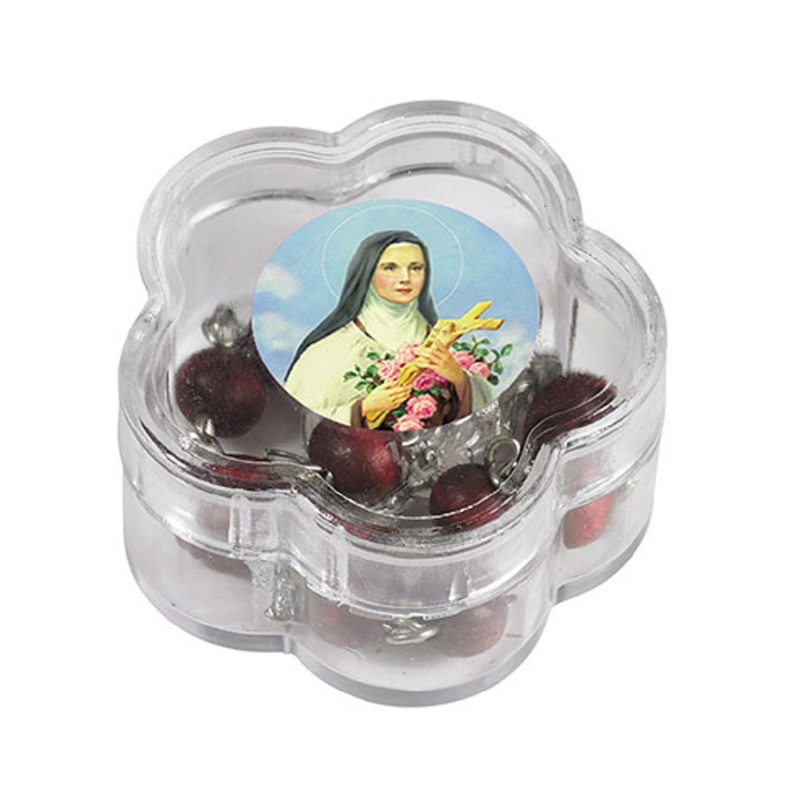 Each piece then comes beautifully packaged in a flower shaped box with devotional image. Perfectly priced for give-aways. Make great gifts for birthdays or Mother's Day.